Meanwhile, back at the ranch…. I haven’t been writing a lot lately. Sometimes life and chores and unexpected turns and twists change a well-ordered day into a scrambled mess. Sometimes the mess gets tangled just like a big skein of yarn, taking hours and hours to unravel. Finally the next five or so days are mine alone, I hope. Well, so far so good but you know how that goes. The best laid plans can go up in a puff of smoke or, in my case, a pile of dog diarrhea. But I digress (often, unfortunately). In April I left you hanging about Tommie and her limping problem. Her x-rays showed that she has good hips but there is a slight laxity on one side. Her left thigh bone has a very slight bow and the hip joint isn’t sitting perfectly in the socket. But that did not really explain why she limped off and on. So I decided to sign her up for six laser therapy sessions. She was very nervous the first time. By her sixth session, while I sat on the cold, marble floor next to her, she relaxed and enjoyed her rich dog laser treatment and I was the one wanting the therapy. The vet suggested not showing or training Tommie for the summer to give her time to relax and heal. Did he really mean four months of keeping Tom on leash in the back yard while the other dogs ran around? I let Tommie run loose and adjust her running as she felt better. Within about six weeks I realized she wasn’t limping and was actually chasing the other dogs around. In the end I don’t think the vet and I are closer to knowing the exact cause of her pain. It may only have been a torn muscle. But I’ll start training her at the new AKC Preferred jump heights, which for her will be 12″/24″. There is no way she is going to sit quietly for the rest of the summer. The vet knows it and I know it because Tommie is a Border Collie thus she isn’t the kind of dog to do nothing, at least without getting into trouble. About a year and a half ago I ordered seven blueberry plants for the front yard. This summer they are finally producing delicious blueberries, enough for me to eat for breakfast, at least through the month of June. So I ordered seven more bushes for the back yard and will probably order more next year. Blueberries remind me of summers in Maine when I was a child. We’d go out into the hills in search of a special patch of wild berries, gorge ourselves, yet still have enough to bring home for mom to make homemade blueberry pie. Most of my friends are at a dog show this weekend but I decided to stay home, for several reasons. My on and off again balance problem loses me expensive points in the obedience ring. It’s bad enough when the dog screws up but when “I” mess up then its time to stay home. But wait; that isn’t a bad thing. Sometimes reading, pondering life, setting more goals, getting a list of boring chores done is a good thing. Somewhere along the line I lost the reason I train dogs. I don’t train for shows. I train because I enjoy the process, the time with my dogs, celebrating the moment they learn something new. The show ring only proves to the world that “I” can train a dog. But does the world really care? No, only a small group of enthusiasts. Of course, I love winning ribbons but somewhere I think I’ve become too enamored with the ribbon and not the journey. My dogs are sleeping quietly behind me. They don’t understand why today was different. All they know is that they got to play in the big building, to run and twist and tug toys and afterwards chase squirrels. 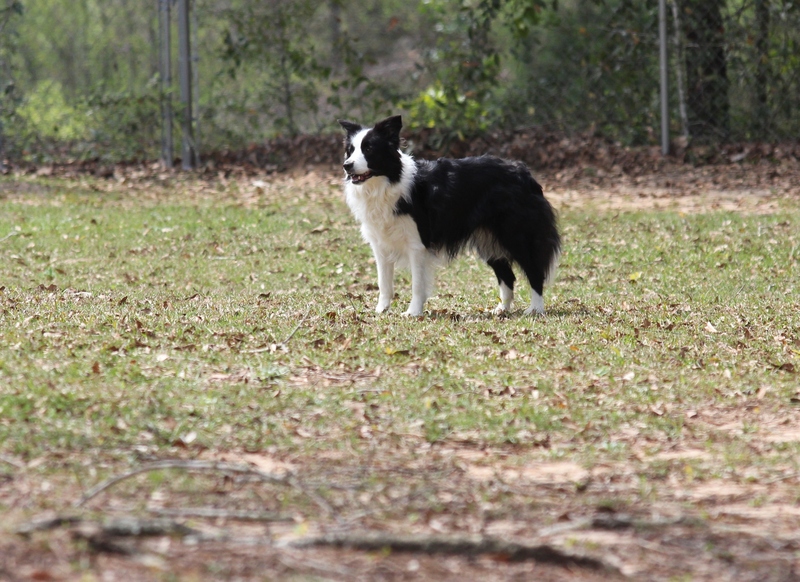 This entry was posted in blueberries, border collies, dog obedience, Dog training, Retirement Life and tagged blueberry bushes, Border Collies, dog obedience, Dog training, limping Border Collie. Bookmark the permalink.